The week of October 31 to November 4 will be one of the busiest on record. Central banks, employment and growth data will be published in the middle of the final stretch of the U.S. elections. The Reserve Bank of Australia (RBA) and the Bank of Japan (BOJ) will release statements on late Monday EDT. The U.S. Federal Reserve will release its Federal Open Market Committee (FOMC) statement on Wednesday, November 2 at 2:00 pm EDT. The Bank of England (BoE) Super Thursday on November 3 will kick off at 8:00 am EDT. 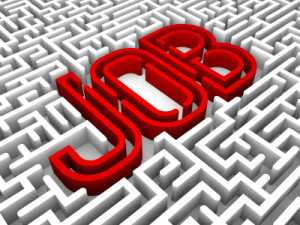 The week will wrap up with the release of the U.S. non farm payrolls (NFP) report on Friday, November 4 at 8:30 am EDT. Central banks are expected to hold policy unchanged, with market awaiting some signals from the November FOMC on the final Fed policy meeting of the 2016. The Fed is expected to announce a rate hike on the much-anticipated December FOMC. The CME’s FedWatch tool shows a 74 percent probability of a rate hike on December 14. Growth and employment data have shown the U.S. economy is growing, but questions remain about the sustainability of the pace as well as lack of consistent wage rises. A newly announced FBI investigation into Hilary Clinton’s emails launched on Friday has reinserted uncertainty into the markets. Stock markets and the Mexican Peso (MXN) reported heavy losses with Gold jumping higher after the news broke out. The EUR/USD gained 1.136 percent in the last 5 days. The single currency is trading at 1.0945. The USD had a mixed week versus majors with the EUR appreciating as the week wore. After an impressive advance gross domestic product (GDP) exceeding expectations at 2.9 percent the market focused on the inability of the U.S. economy to keep up this pace. The U.S. elections had mostly moved to the background as the Democrats were consolidating a lead ahead of the November 8 voting. The information released on Friday about a new email investigation on Hilary Clinton hurt the USD against some pairs. The eyes of the market will be focused on the Fed in the second-to-last monetary policy meeting of the year. Given that there is no press conference and the proximity to the U.S. elections had diminished the probabilities of the Fed choosing the November FOMC meeting to deliver the anticipated first rate hike of 2016. The statement will again be the most important document that will be scanned for insights into the final meeting of the year. West Texas lost 3.884 percent in the last 5 days. The price of crude is trading at $48.41 after comments from Organization of the Petroleum Exporting Countries (OPEC) members and rising rig count data has put downward pressure on the black stuff. Iraq and Iran two of the big three major producers in the organization are “supportive” of a production cut, so long as they don’t have to participate. Saudi Arabia is willing to cut more than their share, but it is unclear by how much and even if that would be enough as the agreement in Algiers seems to be crumbling down with every passing week. The release of weekly U.S. inventories on Wednesday will bring another trading opportunity as the price of crude will be caught between political and monetary policy risk in a very busy week. The USD/JPY gained 0.932 percent this week. The currency is trading at 104.81 but at one point this week it reached a high of 105.53. The USD could not hold as the FBI investigation into Secretary Hilton’s emails took the market by surprise with a week to go before the presidential elections. The Bank of Japan (BOJ) is expected to keep its monetary policy unchanged in November. The biggest change expected from the central bank is potentially leaving out the mention of the monetary base expansion target. The credibility of the BoJ has taken a beating in the last two years as efforts to keep the lofty 2 percent inflation target have met with failure due mostly in part with adverse macro headwinds that have made the jobs of all central banks tougher.